Herman Stern was a generous and kind man with a stubborn determination to better the lives of others. "People would love to come and sit and speak with him because he had something to teach everyone," a former employee told the NJ Jewish Standard. "He liked surrounding himself with young people because he felt it kept him young." After a long and successful career in real estate, Stern made the ultimate commitment to a Jewish future when he bequeathed his fortune to Chabad. For Herman, childless in his long-time marriage to beloved Lily, it was the right way to be remembered. His gift to Chabad was developed into a new school, sanctuary, and social hall. The new shul is named in Stern’s honor. "It's a big thing he did there," a friend told the newspaper. "It was the right thing. For the time that he lived in Tenafly, he found a home there. They made him quite welcome; they became his family. They surrounded him. It was the right thing to do because these people were his family." Another friend added, "He always said he wanted to see the continuation of Yiddishkeit, and Yiddishkeit can only be from the education we bring up our children with. Roots are important. He felt that Jewish education had to survive." 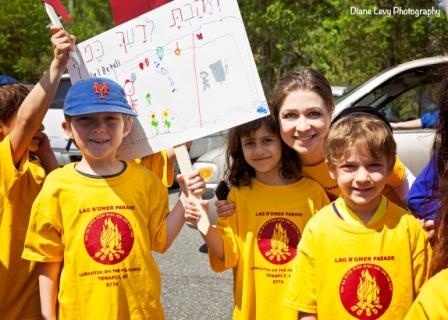 Stern’s surviving family told the New York Times they called him “Uncle Herman,” a name of great affection and someone who will be sorely missed, but Herman Stern’s generous act of loving kindness will live on - though every child who walks through the doors of the Chabad in Tenafly, New Jersey.